i made a Doglet for a friend. Its supposed to be her dog Tiny and was an Easter present for all the work she does with our dog group. All needle felted and she said it did look like Tiny,lol. Aw, we need sweets to see how tiny it is! Doglet!!!! pmsl. It's great Jo. 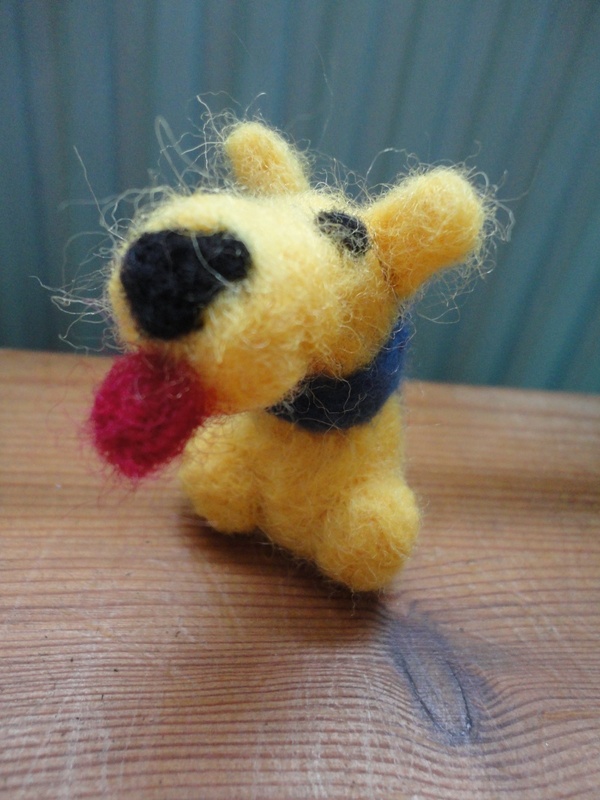 Super job with the felting. AW cute but poor tiny if it looks like your doggy. Tiny is a mix of German shepherd and boxer, has a huge tongue and lopsided ears. Just like my doggy,lol. It was about 3" high.